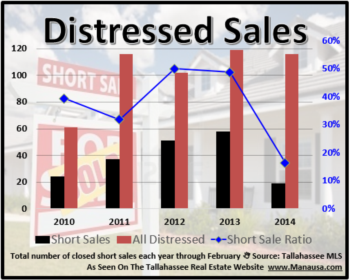 We have been keeping an eye on REO and short sales in Tallahassee, wondering if there was going to be a gradual rise in distressed property sales as the year comes to a close. Our list of REO and short sale homes for sale in Tallahassee has remained fairly stable, but the same cannot be said for closed sales. The summer months saw a turn-away from these types of sales, as the percentage of non-arms-length home sales declined after a 3 year run of growth. The following is an interactive map which shows reo sales and short sales in Tallahassee, going back to the end of June this year. It provides a great visual for the concentration of distressed property sales, and by clicking on each property, you will see the details on the sale. 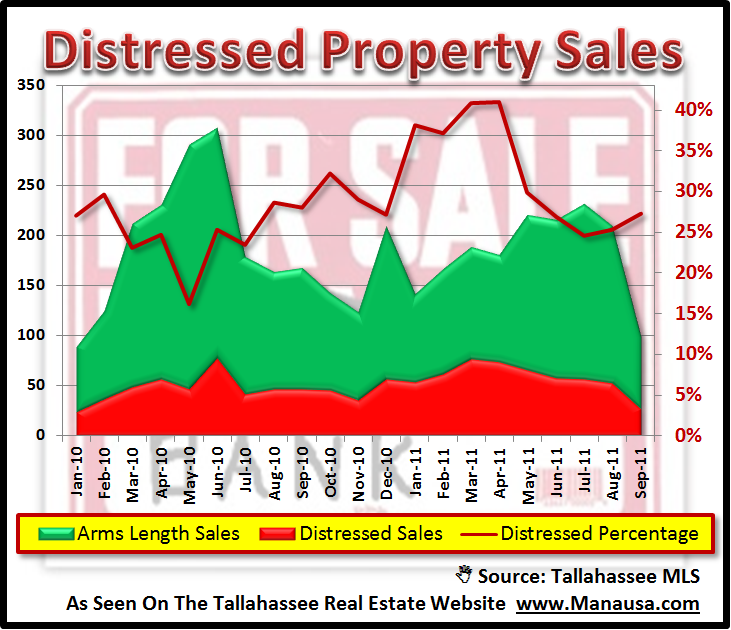 The trend of falling distressed property sales has reversed, as the past two months have shown a higher percentage of REO property sales and short sales in the Tallahassee MLS. More than 1 in every 4 home sales is "non-arms-length" and we expect to see this trend continue to rise during the slower sales cycle that usually begins in September. 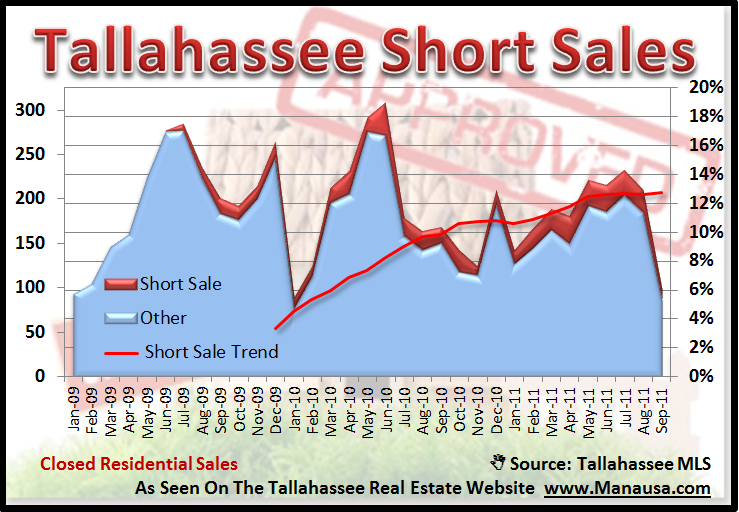 Roughly 1 in every 8 homes sold in Tallahassee is a short sale, and the short sales trend is rising. With home values dropping, more people are finding themselves in homes where the mortgage is higher than the value of the home. When people in this situation are faced with a need to sell their home, often times, a short sale is their best solution (you can read all about short sales in our 81 page e-book "Should I Short Sale My Home?"). The following table shows the last 150+ REO and short sales in Tallahassee, which includes information about each home and what type of sale it was. 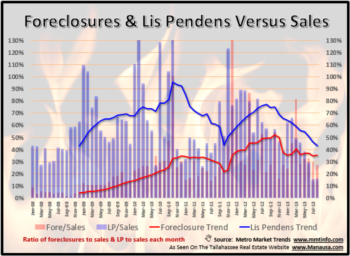 Please check back again in the future for more reports on REO and short sales in Tallahassee.